The holidays seem to bring a fury of questions about the river, visiting Stanley and exploring the Sawtooths. I felt it was a prime opportunity to help. 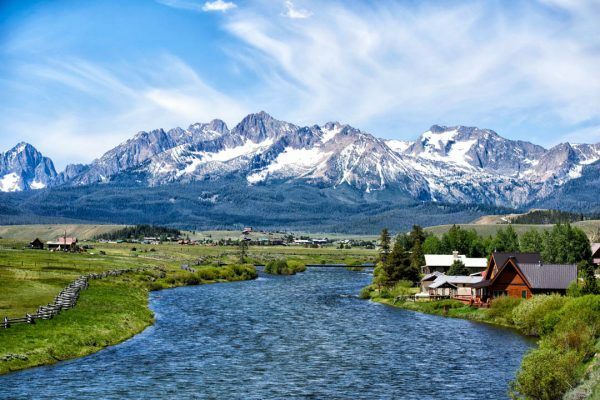 After 20 years of helping friends, family and guests plan summer vacations in the Sawtooths here are a few recommendations. 2. We joke….Do you know there are only 2 seasons in Stanley? Winter and July. No doubt July is a breathtaking month in Stanley. June, August and September are also amazing and offer the same number of amenities and SIGNIFICANTLY less people. Planning your vacation outside of the month of July will significianly open up your lodging options, WAY less people at Redfish beach and a much shorter line at the Bakery. 3. Rule of thumb…June is Whitewater & hot springs. August and September means lake living, Mountain Biking & Fly Fishing. 4. If you have visited Redfish Lake Lodge you understand why it is our favorite place in the valley. At the same time, it gets very, very busy. Weekends are exceptionally buzzing as the weekenders escape the heat of Boise and fill out campgrounds to capacity. If you want stay at Redfish you will need to make reservations in early September for the following summer. Campgrounds reserve out 6 months in advance. 5. All this talk about avoiding July, I feel a little guilty. Why… Because 4th of July in Stanley is AMAZING! The whitewater is pumping, trails are in prime condition, the valley is GREEN and nightly live music at Stanley’s Velvet Falls Dance Hall. Not to mention, our favorite little town throws a BIG birthday party for America!. Stanley Idaho’s 4th of July is world-class and should be on everyone’s bucket list. Old fire engines, horse drawn wagons, kids on bikes and a HUGE water fight between rafts companies, all topped off with an amazing firework show under the Sawtooths.